Ambergris Caye (pronounced key) is the largest of the Belizean islands. It’s roughly 25 miles long and half a mile wide. It is one of the most popular places for vacationers to Belize. 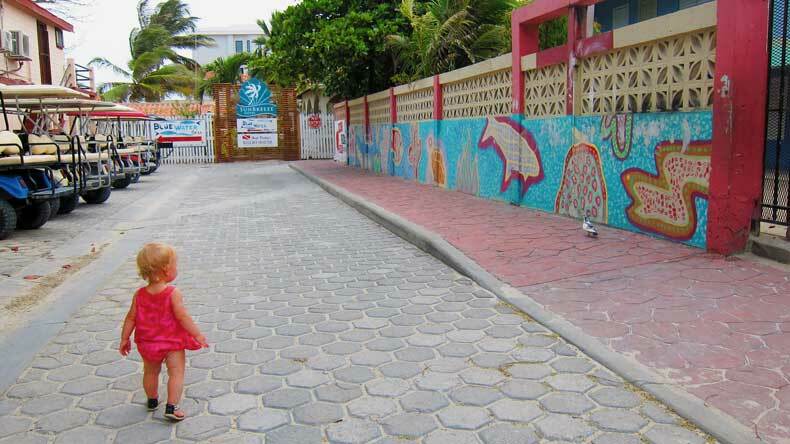 Although the island isn’t very big, there are a lot of things to do in Ambergris Caye. From Belize City, you can get to the island one of two ways. You can fly on a small regional plane for approximately $80 a person or take a $20 ferry from the mainland. They ferry takes approximately an hour and a half. It first stops at Caye Caulker, which is a popular spot for divers and snorkelers. The regional flight to Ambergris Caye is only 15 minutes. It is much more convenient but four times as expensive. We took the ferry to the island and then took the flight back to mainland Belize at the end of our trip. The ferry was crowded, and doesn’t offer much of a view unless you luck out and get a window seat. 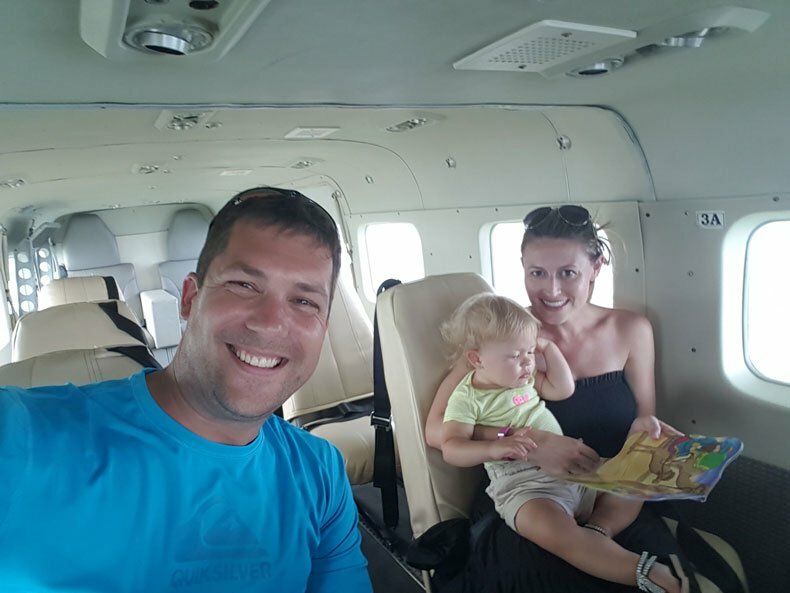 We definitely preferred and would recommend flying if traveling from Belize City to Ambergris Caye. Ambergris Caye is an island, and the best thing to do on any island is relax and unwind. There are several great ways to do that in Ambergris Caye, Belize. The town of San Pedro (made popular by Madonna’s song La Isla Bonita) is located on Ambergris Caye. It has a cool Caribbean feel with a great nightlife and plenty of places to shop, eat, or throw back a few fruity beverages. Spend an afternoon walking around and enjoying the atmosphere of the beach town. Or rent a golf cart and drive around the town, if you prefer. There is no shortage of funky beach bars and restaurants where you’ll find live music and fun vibes. For kids, you’ll find a great chocolate shop right by the docks in San Pedro. Also, visit the Butterfly Jungle, where you’ll get to see and learn about 25 different species of butterflies that are native to Belize. Many of the resorts in Ambergris Caye are built just outside of the town of San Pedro. Most offer free water shuttles for their guests upon arrival. If you want to return to town to explore all the great things to do in Ambergris Caye, you can either rent a golf cart from your hotel (most traffic on the island is restricted to golf carts) or you can take the water taxi for $5 per person. Both are easy and convenient ways to travel around the island. 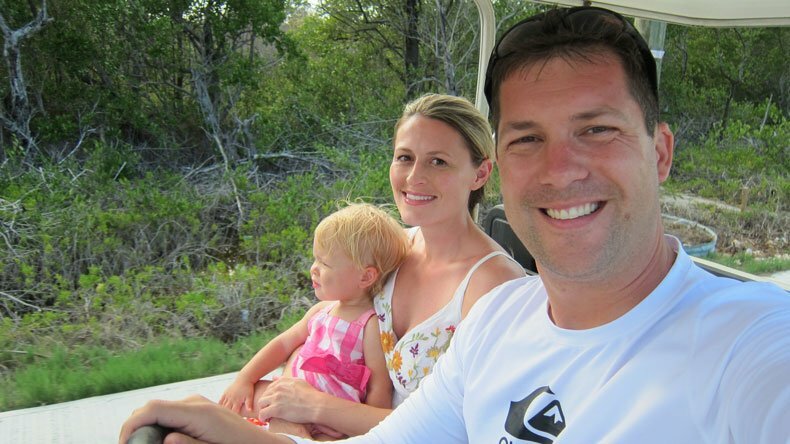 If renting a golf cart, stop for a bite to eat at the TruckStop Belize, a quirky food truck park located on the main road between the San Pedro and the resorts. The beaches in the cayes are not the greatest. 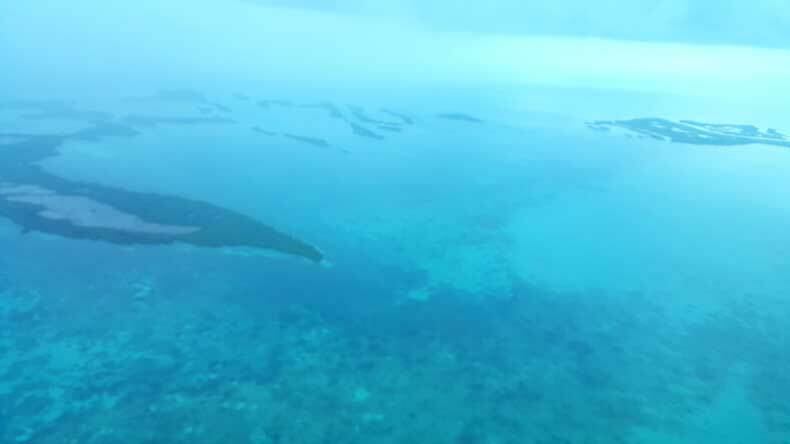 If the plan is to hang out in the ocean and relax in waist-deep water, Ambergris Caye is not the most ideal place to do so. You will be hanging out in waist-deep seaweed instead. The beaches are narrow, as is the island, but they are clean. The hotels and resorts clean the seaweed each morning and maintain the waterfront to provide guests a great place to relax. If you venture just a little ways out from the shore (even at the end of some of the docks) you will find beautiful, clear water that is roughly 4 feet deep. In fact, the water around the cayes is fairly shallow, even if you venture a good distance from the shore. For this reason, avoid the water right by the beach, and enter from one of the docks instead. 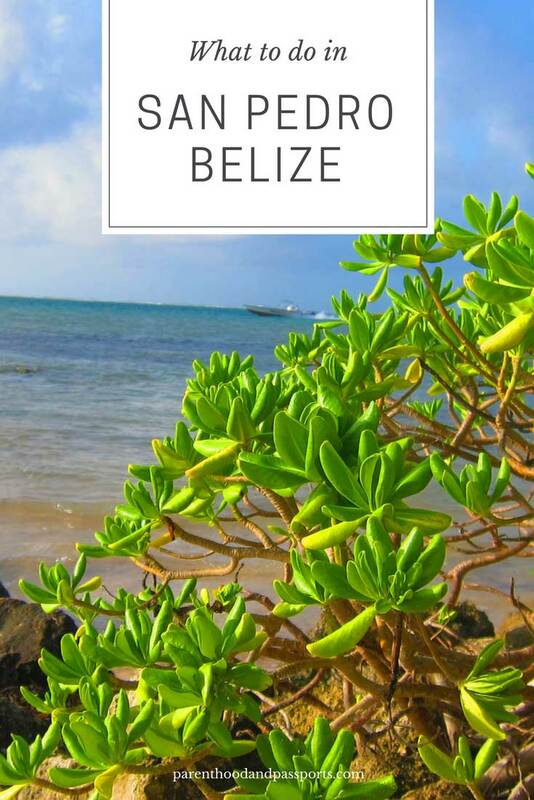 The Belizean cayes are known for the fantastic snorkeling and diving in the surrounding reefs. 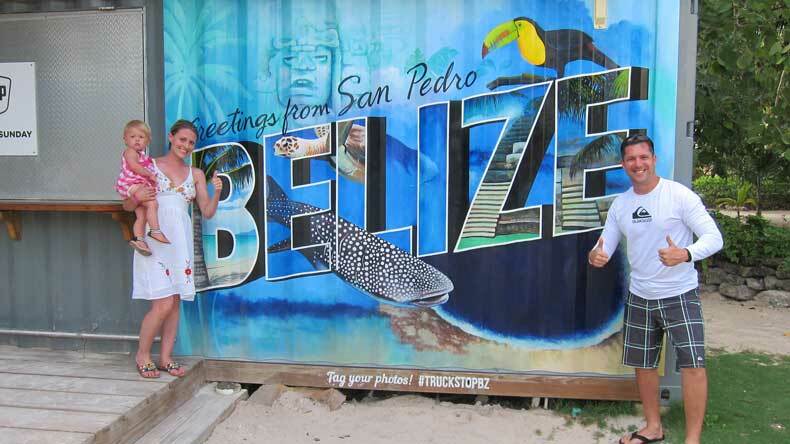 If you’re traveling with kids who are old enough to snorkel, Belize is a great place to vacation. With babies and toddlers, I’d recommend sticking to a hotel or resort with a nice, peaceful pool. 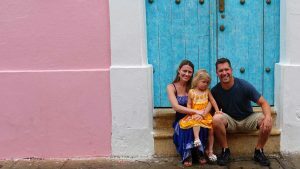 Many of the resorts do offer babysitting services for an additional charge, so if you want or need some adult time, that is an option, as well. Besides diving and snorkeling, you can also enjoy a variety of water sports in Ambergris Caye. From parasailing to kayaking to jet ski tours, if you prefer adventure over relaxation, you can definitely find it in the Belizean islands. 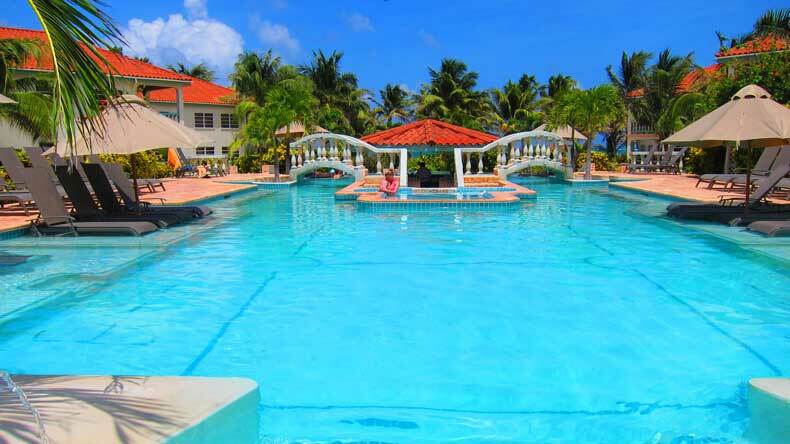 Many of the resorts in Ambergris Caye have beautiful pools with swim up bars, lounge chairs, children’s areas, and poolside restaurants where you can dine in your bathing suit. Many visitors to Belize, hanging out by the pool is one of the best and most relaxing things to do in Ambergris Caye. For casual dining, the Truck Stop is a great place for a quick meal. There is also no shortage of restaurants in the town of San Pedro itself offering great seafood and an awesome atmosphere. If you are seeking something fancier or are looking for a memorable meal while in Belize, check out Mambo at Matachica Resort. We enjoyed the food and the ambiance. 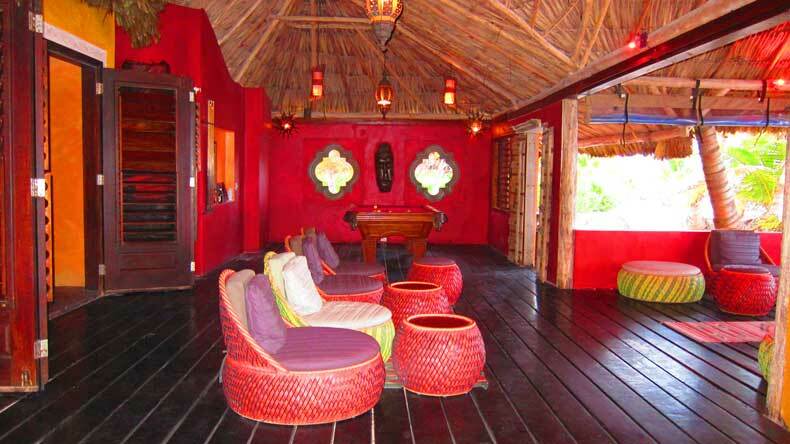 The decor is a mix of eastern Asia meets Caribbean culture. While the restaurant offers a fine dining experience, it was still family-friendly. We made sure to come early and to request a table away from other diners, if possible, so our child did not disturb anyone else’s experience. 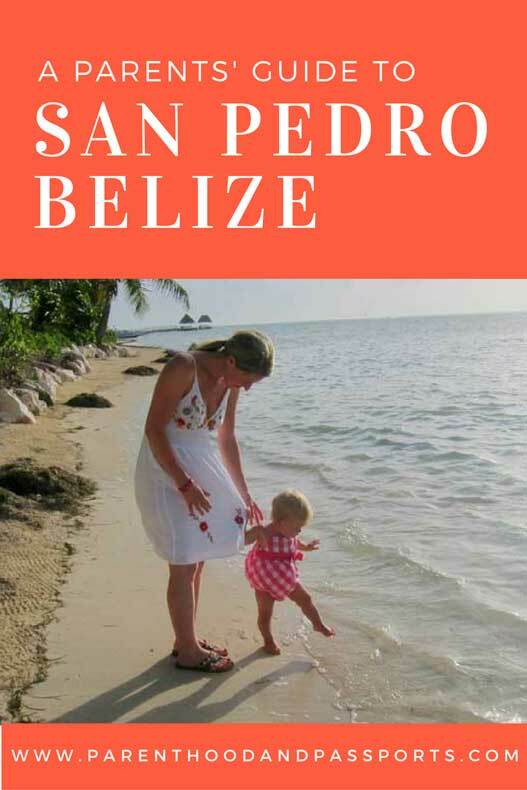 Click here for a review of the Belizean Shores Resort where we stayed while in San Pedro or find our complete guide to Belize with kids here.